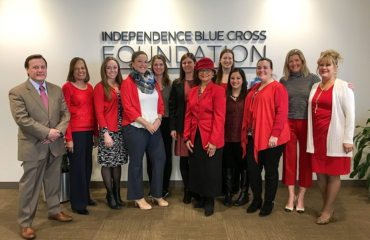 September is a special time at Independence Blue Cross – it marks our annual two-week campaign for the United Way of Greater Philadelphia and Southern New Jersey. This is a time when our associates come together to positively impact our community by pledging their financial support and volunteering their time to help those who need it most. We are excited and proud to co-chair this year’s campaign, Give for a Better Community. 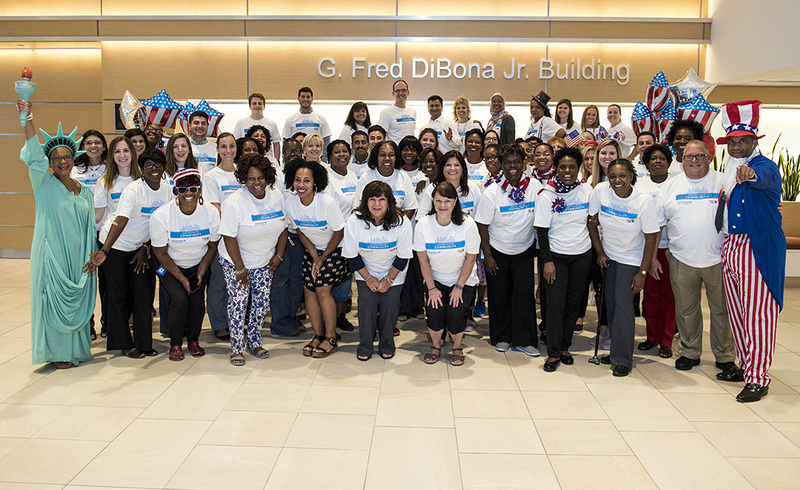 For nearly 80 years, Independence Blue Cross (Independence) has been committed to fulfilling our mission of improving the health and wellness of the communities we serve. Independence associates live this mission every day in the work that they do. The call to help our fellow members of the community truly brings us together in the spirit of giving back. Likewise, the United Way has a rich tradition of giving people the help they need with essential social, educational, and health services. The power of the United Way lies in collective impact – together, we can achieve more for our neighbors and communities than any one of us could on our own. Through the generosity of our associates, we are able to help the United Way to improve lives of people in our region. Our United Way campaign is an opportunity for the entire organization to come together to build a stronger community for our family, friends, and neighbors. There is no denying the spirit of giving back is contagious at Independence. In addition to the many associates who pledge their financial support and volunteer their time, our efforts are supported by a core committee of associates throughout our organization and over 120 associates who volunteer as campaign ambassadors. 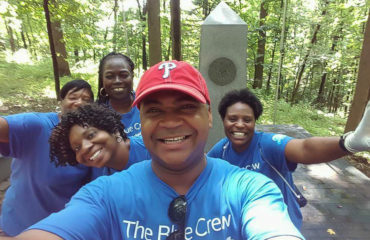 These associates lend their time and talents to plan a fun campaign while championing the importance of giving back and encouraging their colleagues to get involved with the United Way. 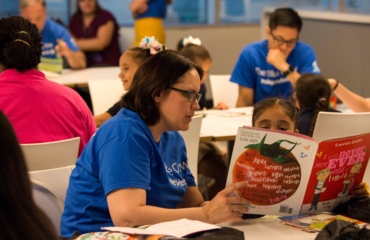 Throughout the year, nearly 1,000 associates and family members volunteer as part of our Blue Crew corporate volunteer program. They selflessly donate their time to help local agencies, many of which are supported by the United Way. Visit. Check out the United Way of Greater Philadelphia and Southern New Jersey’s website to learn more about the many organizations that could use your support. Share. Help us spread the word about our United Way campaign through social media. Look for #ibxgives2016 to see what we’re up to. We encourage you to share any of our United Way posts to your own network of family and friends. Follow. You can also follow the United Way of Greater Philadelphia and Southern New Jersey on Facebook and Twitter. 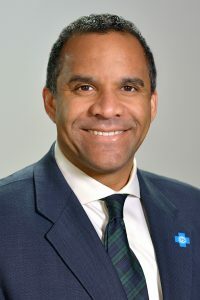 As Vice President of Corporate Development and Innovation at Independence Blue Cross (IBX), Terry Booker is responsible for growing IBC’s core businesses in commercial, individual, Medicare, and Medicaid business lines. In this capacity, he oversees IBC’s corporate growth through diversification efforts that include acquisitions, partnerships, affiliations, and development of new companies. In addition, Booker is charged with leading the Independence Center for Health Care Innovation which fosters a culture of human-centered innovation, generating new ideas to address the complex challenges facing health care by collaborating with thought leaders and best-in-class partners to put people first and revolutionize care. Lorina Marshall-Blake is President of the Independence Blue Cross Foundation and Vice President, Community Affairs, Independence Blue Cross. Marshall-Blake helped define the IBC Foundation’s mission of leading solutions for healthier communities when it was launched in 2011. Under Marshall-Blake’s leadership, the $60 million IBC Foundation has established itself as a philanthropic force locally, earning the 2014 Corporate Foundation of the Year award from the Association of Fundraising Professionals, Greater Philadelphia Chapter. An expert in Philanthropy, Corporate Management, Public Relations and Communications, Marshall-Blake says, “We are meant to serve. We must reach back and give back.” She is an Honorary Fellow of the American Academy of Nursing, and has been honored for her leadership and community service by numerous organizations such as the NAACP, Girl Scouts of Eastern PA, Philadelphia Tribune, League of Women Voters, Philadelphia Business Journal, Living Beyond Breast Cancer, and the United Way of Greater Philadelphia and Southern New Jersey. She also serves as a spokesperson for the local chapter of the American Heart Association.